A tasty antidote to the wintertime blues, the Sunday brunch buffet ($16) at Radius overflows with warm comforts, from the logs crackling in the soaring stone fireplace to plush slices of Grand Marnier French toast, napped in real Ohio maple syrup. While details change often – after all, we never want to be boring! 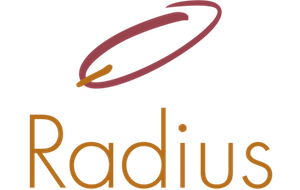 – the Radius brunch buffet offers options that appeal to every palate. For the hearty appetite, that might include veggie-studded quiche, savory roasted potatoes, thick-sliced bacon and hand-crafted pork-and-maple sausage. Daintier diners, meantime, can turn their attention to our fresh fruits, green salads, and a selection of coffee, tea, and juices. And who could pass up one of our made-to-order omelets, stuffed with your choice of ham, bacon, sausage, spinach, tomato, onion, peppers, and cheese? One egg or three? Whole or just whites? It’s your call. Other buffet offerings include an ever-changing assortment of breakfast pastries, roasted or smoked fish, and contemporary dishes like raspberry-adobo grilled chicken with black beans, served on a bed of spinach-laced rice with fresh lime wedges and silky crema. The scenic backdrop to brunch is nearly as satisfying as the well-crafted comestibles. Overlooking the rural countryside, our cozy dining room offers a beautiful perspective on winter’s stark beauty. Like a scene by Currier & Ives, the snow-covered fields beyond our tall windows are punctuated by tufts of ornamental grasses as they roll down a gentle slope toward a frozen pond. Birds and deer are frequent visitors. If you’re lucky, you might even spot a goat from a neighboring farm! Meantime, you are snug and warm inside, basking in the glow of fine food and the lobby’s crackling fire. If that’s not enough to cure your cabin fever, better call the doctor. 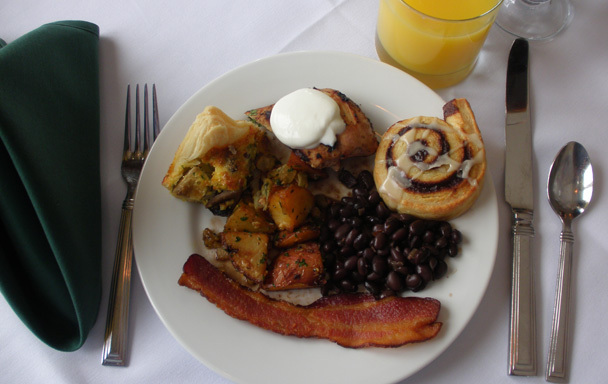 Sunday brunch is served 11 a.m. to 1:30 p.m. Click here for reservations.